The notice of the admission addressed to her father, La Joya Mayor Jose “Fito” Salinas, states she failed to post a notice of the Oct. 11 meeting 72 hours in advance, a violation of the Texas Open Meetings Act. She alleges the board chairman, Maricruz Sifuentes, pressured her to post a notice of a special called meeting on Sunday. “While under pressure to create and expedite our meeting, I lost track of time and advertised the certificate of posting in less than 72 hours, which is required by law,” Salinas wrote. She then added that the mayor confronted her with a “screenshot” of her attempting to post the notice of the meeting on Monday morning. “It was clearly my mistake,” she stated. Fito or Frances Salinas could not be immediately reached for comment. 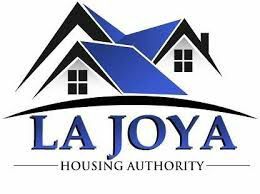 La Joya Housing Authority executive director Frances Salinas was terminated Wednesday by a 3-0 vote of the board of directors. Salinas was appointed to the role after the firing of the previous director, Juan Jose “J.J” Garza, in December 2016. Garza’s termination came after he was indicted on wire fraud charges in September 2016. However, an attorney for the board said his termination was based on a HUD audit report highlighting several problems with management. He later pleaded guilty to the wire fraud charges and sentenced to more than three years in prison. Salinas also replaced Garza on the La Joya school board of trustees and is in the midst of a campaign to remain on the board. Salinas could not be reached for comment Thursday afternoon. Her father, La Joya Mayor Jose “Fito” Salinas, who is tasked with appointing the housing authority’s board members, alleged the move to terminate his daughter was politically motivated. Two of the board members are employees of the La Joya school district and Salinas said that one of them was a “disgruntled employee” who, at the recommendation of Salinas who sits on the La Joya School board, was not promoted to a different position within the district. “That is a complete false accusation of the mayor,” said housing authority board member Sylvia Garces Valdez, who also works for the La Joya school district. The board scheduled an emergency meeting for Thursday evening, during which they are expected to consider a replacement for Salinas.